Education: Dan earned a Bachelor of Arts and Education from the University of Miami. A Master of Arts in Curriculum and Instruction from The University of Northern Colorado. A Master of Science in Information Technology from Nova Southeastern University. A Diploma from the US Army Command and General Staff College. A Diploma from the National Defense University in National Security Management. Career: Dan became a public school teacher teaching Photography and Graphic Arts. He was promoted to a school administrator and community school director. He left education to take a management position in city government. Using his military training he left public service to take an executive position with Digital Equipment Corporation (DEC). He then took an executive position with A&T Computer Systems. With the changes in the industry he moved back to public service taking a position as Chief Information Officer for a Florida state agency. Military Service: Commissioned in the US Army as a Military Intelligence Officer and given a first assignment as a General Staff Officer created a unique opportunity to serve the nation. Twenty of his twenty-eight years was spent in various Intelligence, Special Operations, Command, Computer and Communications assignments headquartered at The Pentagon. Additional assignments included Civil Affairs, Combat Engineers and Commander of a Rapid Deployment Force Detachment. 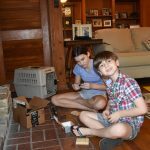 Currently Dan and his wife Sue foster Military Work Dog puppies for the Department of Defense. Archery: Dan entered archery late in life as part of his retirement plan. At age 63 he added bow hunting to his many hunting trips to Florida military installations. Very quickly he moved to target archery shooting weekly with his wife Sue at the Fort Lauderdale Archers Club. Club members introduced Dan to the Olympic Recurve and there was no turning back. 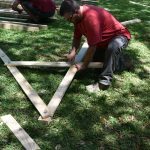 After moving to Austin and wanting to expand his knowledge he took the Level-1 and 2 courses, then the Level-3 Coach course. His primary focus is developing archery instructors and promoting archery. He competes in the USA Archery Master 70+ and NFAA Senior Silver divisions. 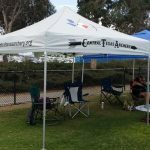 Tyler is a USA Archery Level One Instructor with 5 years of archery experience. 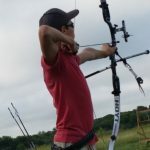 He is a member of USA Archery Regional Dream Team (RDT) West, which is comprised of 30 dedicated and promising recurve archers from each region of the country. 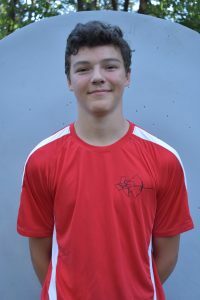 His USAT rankings have been 37th Cadet Male Recurve in 2018, 35th Cadet Male Recurve in 2017 and 15th Cub Male Recurve in 2016. He is CPR & Safe Sport certified. 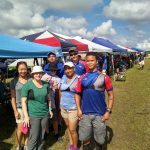 Francisca is a Level 1 USA Archery Instructor. She has been shooting a recurve bow for two years. Francisca is CPR and First Aid certified. Her favorite part of archery is the competitive aspect because that is where you can see how well you are prepared. She also really likes the people that she meets through this sport. 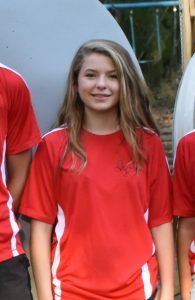 Her future goals include shooting a lot more tournaments, both USA archery events and TFAA events. She also wants to learn more about different styles of shooting. Other than archery and coaching, she has played piano for 12 years and flute for more than 6 years. Addison is a Level 1 USA Archery Instructor. She shoots a recurve bow. 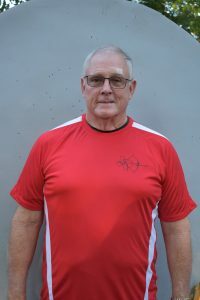 Dale is a USA Archery Level 3 NTS Coach. He currently shoots Recurve and Barebow (compound to come). He has been shooting 5.5 years. He is CPR, SafeSport, Mental Management certified. As a coach, he values the archers physical, mental and emotional welfare above all else and aim at creating a positive environment where the archers goals may be realized. 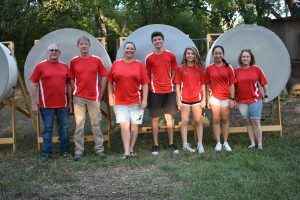 He strives to instill confidence in the archers technical and mental process while fostering individual growth through the opportunities archery provides. 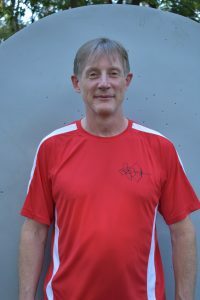 In addition to archery, he has coached Rugby and has been involved in sport as long as he can remember. The sports he has played include cricket, rugby, football, table tennis, road cycling, fencing, golf, snooker. he is an avid skier and a strong proponent of the mental game. His future goals include gaining his Level 4 NTS coaching certificate and learning compound bow. Kelly is a Level 2 USA Archery Instructor. She shoots a recurve bow. 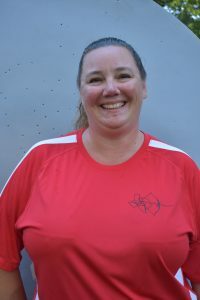 Kay is a USA Archery Level 2 Instructor. She has been shooting a recurve bow for 8 years. When it comes to archery, she loves all of it! She enjoys practicing both on her own and with a group. 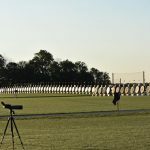 Tournaments are wonderful for meeting people from around the country and getting different takes on how to shoot. Her future archery goal is to shoot in a different country. She is a linux system administrator and most of the time she complains about being out in the sun. She loves LEGO, her office is full of it. 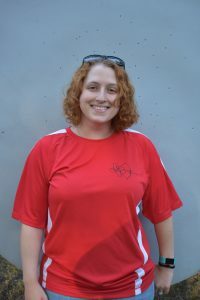 Cassandra is a USA Archery Level 2 Instructor. She has been shooting a Recurve bow for 3 years. She is First Aid and CPR certified. Her favorite part of archery is how it is good exercise mentally and physically. Her future archery goals are to improve her score for indoor season and attend outdoor nationals next year. She is a Law Librarian. She was a Theatre Major. She has two cats and Chihuahua. Eric is a chemist and is the Quality Assurance Officer for Austin Water. 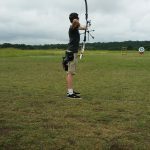 He began shooting archery in his teens as part of Boy Scouts and 4-H. His family began teaching archery courses to various organizations when his mom got her level 1 certification and his dad a level 3 certification. He is a father of 3, including a son who is a nationally ranked archer and is on the USAA Regional Dream Team. 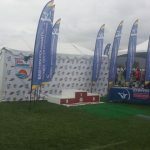 He enjoys coaching and judging because it allows him to help others to improve and learn about the sport. Eric is excited to work with CTA for the same reason. 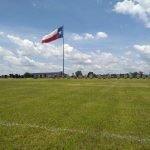 He wants to share archery with as many people in Central Texas as he can and let them achieve whatever they choose in the sport. Eric believes that archery is supposed to be fun, teach discipline, and build a community of family. 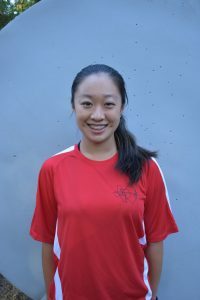 Jessica is a USA Archery Level 2 Instructor. She is CPR, First Aid, and Safe Sport certified. 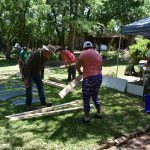 Jessica, along with her parents, planted roots in the Austin area back in 1984. 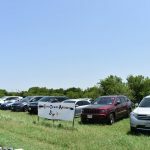 She obtained a Bachelor’s degree from the University of Texas at Austin in 1999 and progressed through a career in Custom Residential Construction and Project Management. She is a wife and the proud mother of her two kids. It was her daughter who, back in 2014, asked for archery lessons and thus began her adventure into the great world of archery! 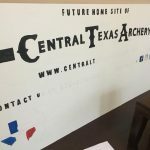 Seeing a need for a program that is all inclusive and wanting to share her love of archery with others in the central Texas area, she is thrilled to be working alongside Kat and Eric to establish an archery program that is safe, fun and educational! Kat is a USA Archery Level 2 Instructor. She is CPR, First Aid, and Safe Sport certified. 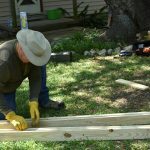 Kat was raised just north of Austin in Liberty Hill and she has spent almost her entire life in the Austin area. Kat received her bachelor's degree at Texas State University in San Marcos. She then taught in the public schools before devoting herself full time to homeschooling her three children. Kat owns a custom cake design business and has worked as a cake decorating instructor. She became involved in archery in 2012 when her two sons took a homeschool archery class with friends. 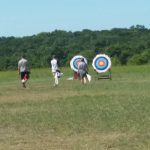 As one son progressed to a competitive archer, Kat began traveling with him throughout the country for archery tournaments and clinics. 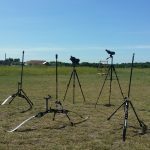 After seeing the amazing programs and facilities that are available in other parts of the country, she soon realized that the Austin area needs a more developed and versatile archery program. 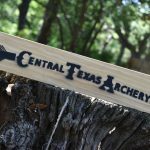 Collaborating with Eric Davis and Jessica Schmer, Central Texas Archery was born.